This entry was posted	on Monday, September 13th, 2010 at 5:00 pm	and is filed under Computing, General Chang, Tech. You can follow any responses to this entry through the RSS 2.0 feed. You can leave a response, or trackback from your own site. I got an Eee PC, which was nice for a while, and then I just got fed up with resizing windows and straining my eyes to see the words. Yes, Netbooks are awsome for when they’re awsome (sorry for the truism, but that is the only way to describe them…), but what I really need atm is something that I can use for homework, browsing etc, while in ‘confortable’ surroundings, ie my home and at a friends house. Which is why I’d argue that a full-sized laptop trumps a netbook for my purposes at least. Also, the Eee PC ran on linux, and I couldn’t be bothered to learn all of the command line stuff, which is really what you need if you’re going to go linux. However, they are darned smexy. Thanks for your comment. I guess it comes down to what you want out of it, and what it’s used for. I can see that netbooks aren’t for everyone. 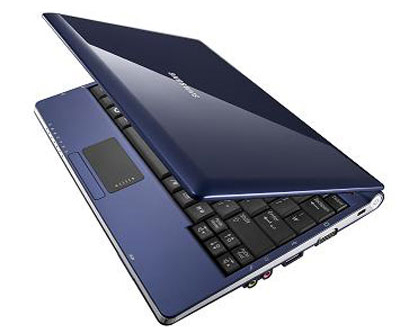 I am quite techy as well, so I often need a very portable computer when someone rings me up with some random tech/help request and I need to go to their house or something. Powered by WordPress v 4.3.19. Page in 0.062 seconds.